Sinuously constructed in four interlocking parts, Paul Auster's fifteenth novel opens in New York City in the spring of 1967, when twenty-year-old Adam Walker, an aspiring poet and student at Columbia University, meets the enigmatic Frenchman Rudolf Born and his silent and seductive girfriend, Margot. Before long, Walker finds himself caught in a perverse triangle that leads to a sudden, shocking act of violence that will alter the course of his life. Three different narrators tell the story of Invisible, a novel that travels in time from 1967 to 2007 and moves from Morningside Heights to the Left Bank of Paris to a remote island in the Caribbean. It is a book of youthful rage, unbridled sexual hunger, and a relentless quest for justice. 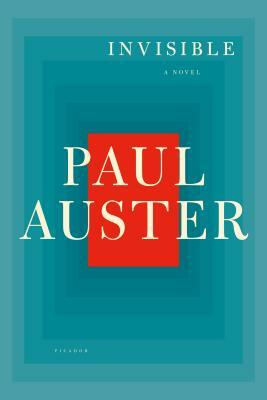 With uncompromising insight, Auster takes us into the shadowy borderland between truth and memory, between authorship and identity, to produce a work of unforgettable power that confirms his reputation as "one of America's most spectacularly inventive writers." Paul Auster is the bestselling author of 4 3 2 1, Winter Journal, Sunset Park, Invisible, The Book of Illusions, and The New York Trilogy, among many other works. He has been awarded the Prince of Asturias Prize for Literature, the Prix Médicis Étranger, the Independent Spirit Award, and the Premio Napoli. He is a member of the American Academy of Arts and Letters, the American Academy of Arts and Sciences, and a Commandeur de l'Ordre des Arts et des Lettres. He lives in Brooklyn, New York.